This Sunday was the weekend of our monthly flea market, the Portland Flea. Our booth was filled with a wonderful array of mid century furniture. It was well received by the crowd who attended the flea market. Many of our our pieces were purchased and we even bought a few pieces from other venders. 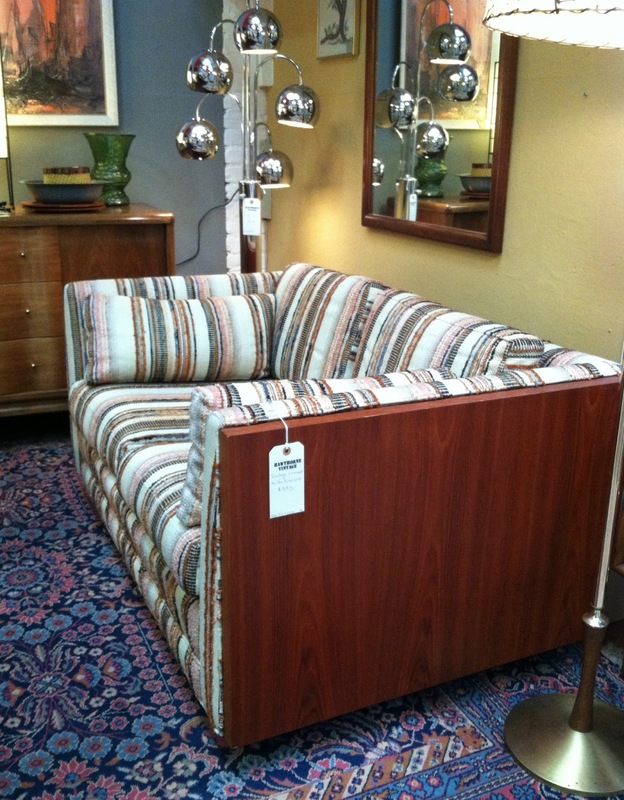 One of our purchases this weekend was this loveseat by Millard Sheets for Van Dyver Witt. It is now available at Hawthorne Vintage. This week we also bought this Danish teak dining table. It is also available at Hawthorne Vintage. 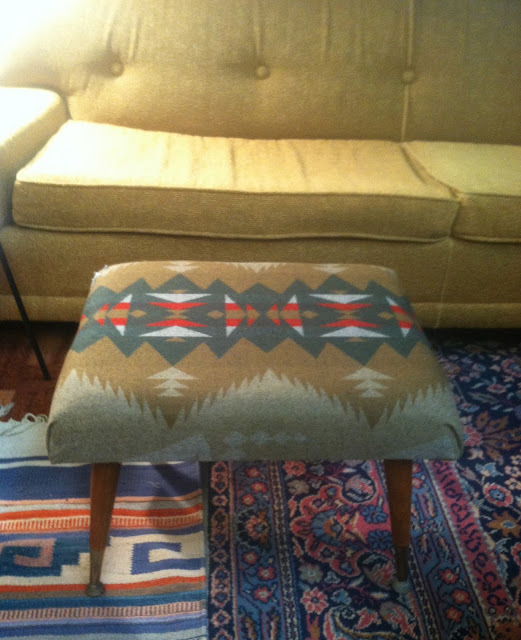 In preparation for the Portland Flea we made this Pendleton wool ottoman. SOLD. What did you find this week? Please link up recent blog posts sharing your finds for the week, it doesn't have to be all mid-century, but we would prefer that you have at least one to share. Please remember to link back to this blog - thanks! Your booth looks amazing, I'm not surprised that you had a good day! Thank you for hosting. You have a great collection of furniture and accessories, thanks for hosting. Have a great week. Thanks for hosting. Love your booth and your mid century collection of furniture and accessories. As always, an amazing selection of vintage! I would love to check out the Portland Flea one day. Thanks for hosting.